On November 6, a six-month pilot program was introduced. St. Petersburg is using two Escot Motor Coaches which each are air conditioned and hold thirty passengers. Known as Park Once, the shuttle runs between the hours of 5pm and midnight every Friday and Saturday night. It travels to the downtown waterfront area, including Beach Drive and the Central Arts District… for free. The five convenient shuttle stops include: outside Sundial parking garage on 1st Avenue North, outside South Core parking garage on Central Avenue, Central Avenue at 4th Street, 5th Avenue North and Bayshore Drive (near North Straub Park), and Bayshore Drive at 2nd Avenue North. If you have questions regarding the Park Once weekend evening shuttle, call Robert Danielson, director of marketing, 727-893-7465. You may send Mr. Danielson an email at Robert.Danielson@StPete.org. St. Petersburg is willing to look at many options for weekend evening visitors who don’t want to have to move their vehicle many times, using unnecessary amounts of gasoline. The Park Once shuttle had nine riders the first weekend it was offered. 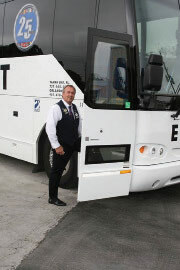 By the second week, seventy-four riders accessed this great shuttle service. This free, evening weekend shuttle is a very pleasant way to travel between this city’s friendly destinations!